May is my favorite time of the year to go the beach in South Carolina. The weather is warm and the beaches aren't crowded yet. You can walk on the beach and enjoy the sun and the surf and think about the beauty that surrounds you. Several of my favorite Southern authors have books releasing soon that take place at the beach - usually in the SC Lowcountry - and they always help to remind me of how much I enjoy my time at the beach. How about you....do you have a beach that you enjoy somewhere in the world? I'd love to hear about your favorite beach in the comments below. I'm always ready to take a road trip so I need some good suggestions. Amazon affiliate links are used in this post. Advance Readers Copies were provided for honest reviews. 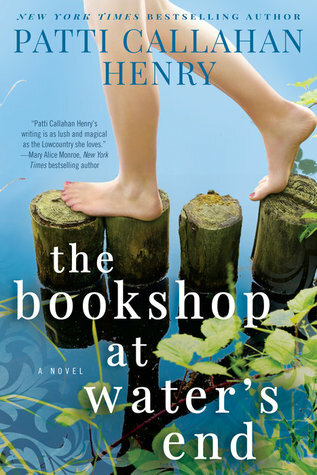 Dorothea Benton Frank returns to her magical Lowcountry of South Carolina in this bewitching story of marriage, love, family, and friendship that is infused with her warm and engaging earthy humor and generous heart. One enchanted summer, two couples begin a friendship that will last more than twenty years and transform their lives. A chance meeting on the Isle of Palms, one of Charleston’s most stunning barrier islands, brings former sweethearts, Adam Stanley and Eve Landers together again. Their respective spouses, Eliza and Carl, fight sparks of jealousy flaring from their imagined rekindling of old flames. As Adam and Eve get caught up on their lives, their partners strike up a deep friendship—and flirt with an unexpected attraction—of their own. 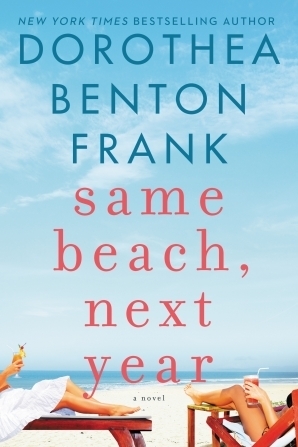 Bursting with the intoxicating richness of Dorothea Benton Frank’s beloved Lowcountry—the sultry sunshine, cool ocean breezes, icy cocktails, and starry velvet skies—Same Beach, Next Year is a dazzling celebration of the power of friendship, the enduring promise of summer, and the indelible bonds of love. 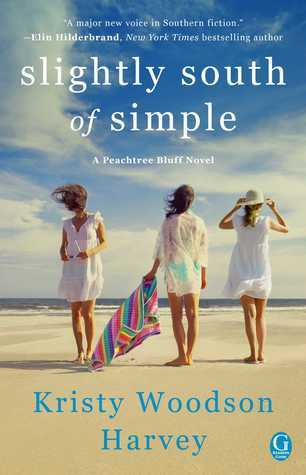 When Cara Rutledge rents out her quaint beach house on Isle of Palms to Heather Fordham for the entire summer, it’s a win-win by any standard: Cara’s generating income necessary to keep husband Brett’s ecotourism boat business afloat, and anxiety-prone Heather, a young artist who’s been given a commission to paint birds on postage stamps, has a quiet space in which to work and tend to her pet canaries uninterrupted. 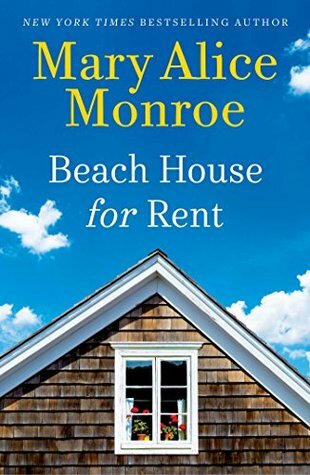 The Beach House for Rent looks like it might be a good read. Morgan, it's listed as being part of a series but can be read as a stand alone with no problems. It's a very good book. I love all of Kristy Woodson Harvey's books. You should give her a try. We usually take beach vacations... they are our favorites. 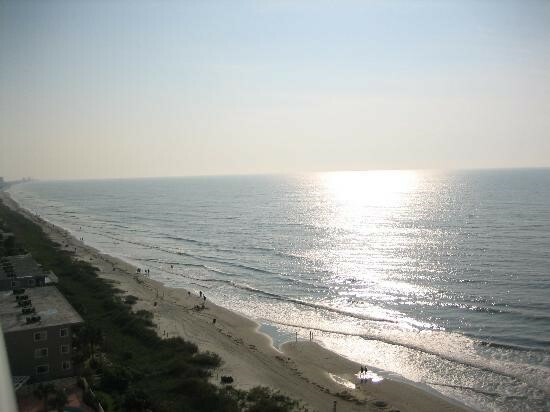 I loved the beach at Longboat Key, FL. I also enjoyed Sanibel Island, but it's not a beach I can take long walks on... it's an island of shells and I quickly developed the "Sanibel Stoop" as I kept stopping to pick up beautiful shells. My husband's brother lives in SC and we've visited a few times but never made it to the beach there! We better plan another trip. Sanibel Island is on my short lists of places to visit. There are some great SC beaches so I hope you get a chance to visit one of them. I enjoy going to Folly Beach. My two sisters live in the area and that's where they go. I've heard Pawleys Island is nice too. I've been to Folly Beach before and really liked it. Be sure you spend some time in Charleston - it's a fantastic city. Fort de Soto Beach in St. Petersburg, Florida is just beautiful. I only visited once, but it's the beach I think of anytime someone asks for a suggestion!